The FITT360 Security is the first wearable 360-degree camera that can film in all directions. It is intended for security-related organizations such as military, private security and emergency services. The FITT360 Security was designed to eliminate the limitations of existing unidirectional cameras (e.g., chest-cam and CCTV), which leave blind spots because they record in only one direction. 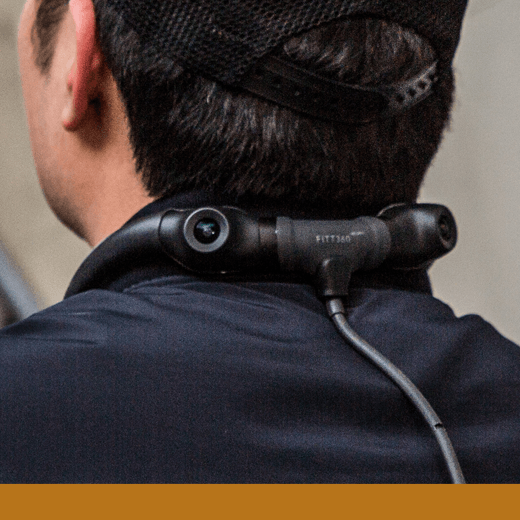 With the 360-degree recording capability centered on the wearer, the FITT360 can record data about every situation occurring in the vicinity of the user.